This summer has been a hot one at Stingray Branding! We have been busy building and revamping websites for numerous clients, taking their business to the next level! 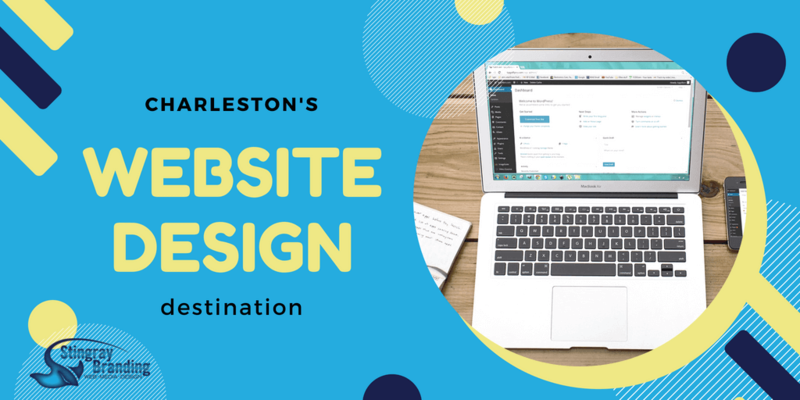 Check out our project recaps below and see just a small part of the website design we’ve done for our Charleston neighbors. Owner and massage therapist, Denise Deaton came to Stingray for help with their website design. We began with a logo, designing one to represent the business. From the simple and well-designed logo, we had a foundation to build the website for Under the Stars. The site is clean and modern, showcasing every service provided by the Under the Stars. With a cohesive theme, the site flows well from page and popular information is easily found. The clean homepage draws visitors in and sets a tone for relaxation right from the starts. The top of the homepage displays the navigation menu clearly, describes the business’s most prominent benefits, and includes a clear call to action. These factors are important to position at the top of the homepage. The theme of relaxation and appeal continues throughout the website. With content that is SEO-centered, concise, and well-written, this website is poised to rank higher and higher in Google search results. Creating better service for clients, we developed the process to book a massage appointment online. After completing the form, a member of Under the Stars will contact the client, saving visitors time. At Stingray, we are driven by innovative design, processes, and services. Let us know what you would like for your website design and branding, and we will make it happen! We also designed images for Under the Stars social media accounts including profile picture and banners. Sized and optimized for each account, the cohesive designs create strengthen the business’s brand and help build brand awareness. With several websites representing different areas of their business, In-Line needed help developing a single website to showcase their machines. We did just that! Structuring the website in an intelligent order, needed information and products are easily found and displayed efficiently. In-Line has a wide range of bottling and packaging machines. After organizing their products, In-Line website visitors can quickly find what they are looking for. With sufficient copy, visitors can decide if the machine fits their needs. And, visitors can easily find contact information for help. This site just makes sense! And it is a complete 180 from the company’s previous websites. A small scroll down the homepage, visitors can find out what In-Line is all about. They see clear statistics to help them see that In-Line is experienced and reputable. A second call to action is clearly displayed. And, an Ask button is ever present on the homepage so visitors can quickly find answers. Just another way we deliver intelligent and responsive website design. In-Line has a lot of great products. The major goal of a new website for our client was organizing and displaying products in a way that made sense and was attractive. With categories and subcategories, and high-quality images of the machines clearly displayed, we believe we met the mark! 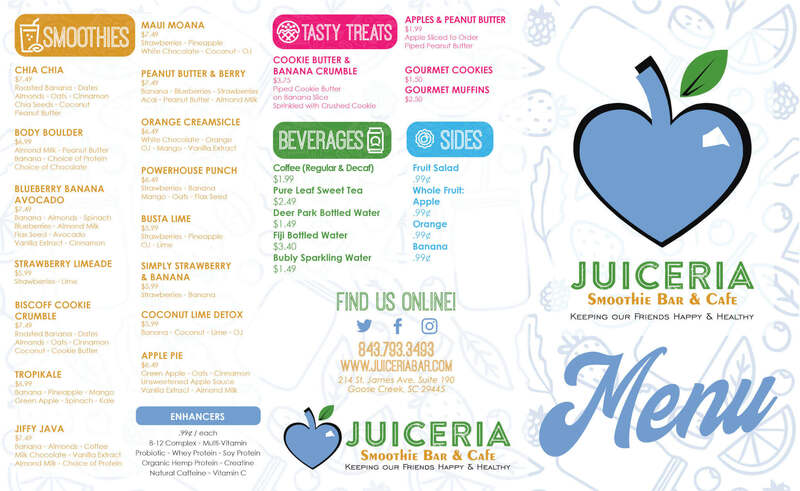 Juiceria Smoothie Bar & Caféis a newly opened business with franchise opportunities. Owners Jonathon and Taylor Best came to us to develop the website, menu, and branding from scratch before opening the café. They had a logo developed, and from there we were able to design a fun, simple, and attractive website that reflects the heart of the business. The owners wanted to have an online ordering option and we set up the process, clearly marked on the top of the homepage. As they decided what to include on the menu, we developed and designed the menu for the website and for print. With a clear layout, we designed a menu to be as fun, vibrant, and enticing as the food they serve. We also designed a profile picture and banner image for Juiceria’s social media outlets. As Monthly Marketing clients, we post to their social media accounts daily, create a monthly newsletter, and write a monthly blog post for their website. As of their Grand Opening on July 19, Juiceria had over 600 Facebook followers and over 75,000 reach! Founded on quality design and branding, Stingray has the tools you need to accomplish your business goals. Tap into our industry knowledge and experience and let us do the work for you! If you need help designing your website, developing content that is SEO-friendly, managing an AdWords account, or designing new business cards and marketing material, we are your team! Agile, quick, reliable, and top-quality, you can depend on Stingray to provide consistent quality and stay on top of industry trends. Give us a call today for a free consultationand be a STINGray! !